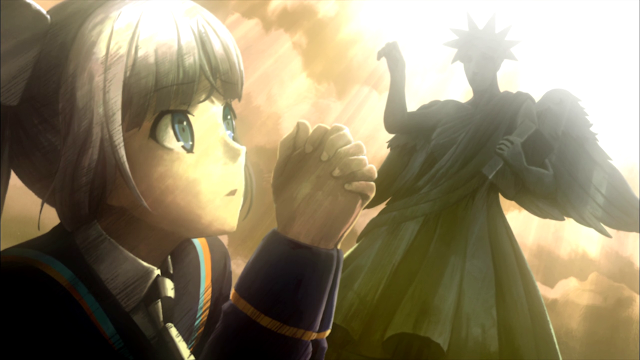 Miss Monochrome is a really wonderful short anime. She is the example on how a virtual idol based anime could potentially be; simple, short, light-hearted and fun. And now she is back for the third season. 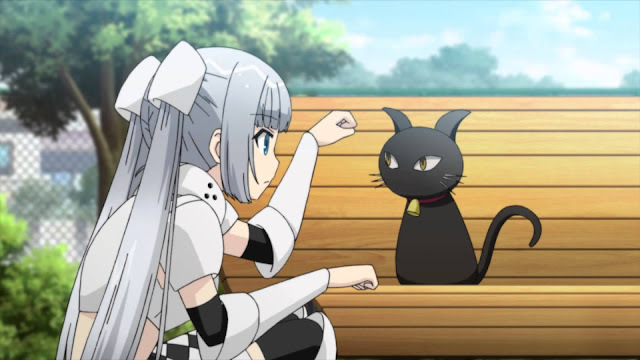 Miss Monochrome: The Animation 3’s story line takes place right after the second season. 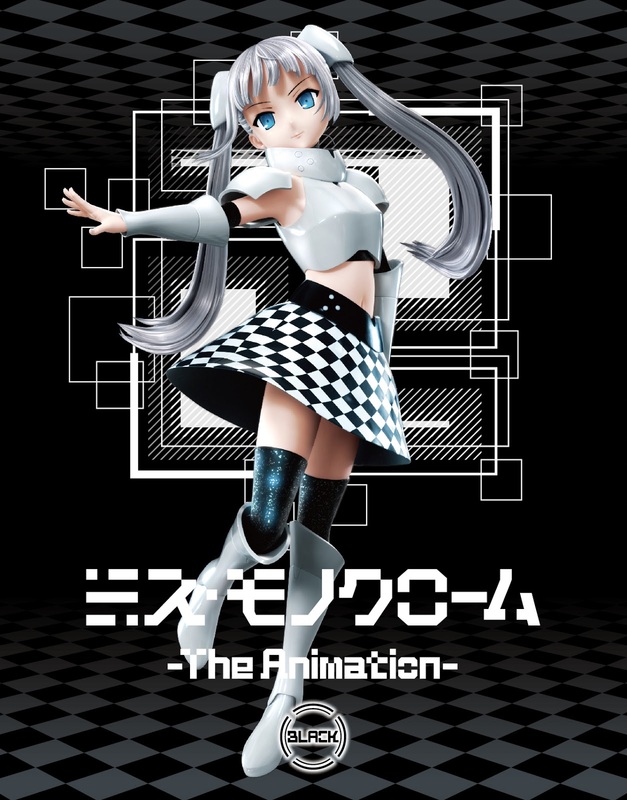 In this season, Miss Monochrome’s album has finally been released and she is now preparing her tour to become more famous. The third season in itself feels similar to the first one. Miss Monochrome: The Animation 3 brings that over-the-top comedy back with a new reference in each episode. Each episode feels like a standalone in its own right. There is a lot of random references that incorporate into the story that just so happens to make a plot. Despite having little to no progress in term of story line, it is still really enjoyable to watch. It does feel repetitive at time, but it never took itself too seriously and kept being light-hearted as its core. As for the cast, there is not so many to talk about really if you continued from the previous season. 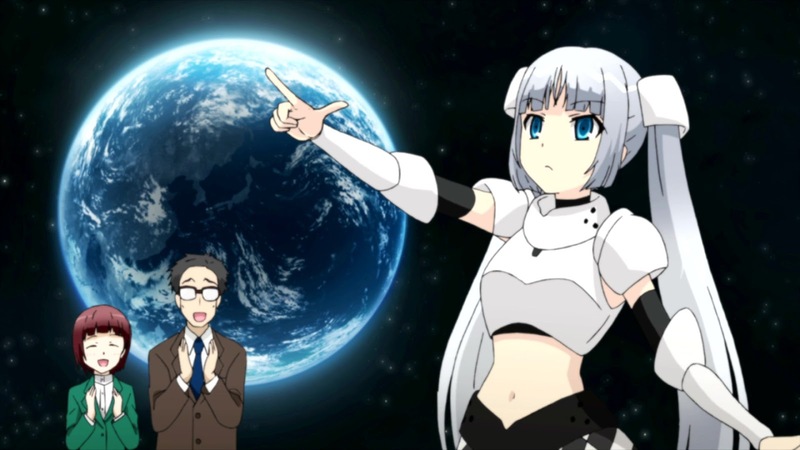 Miss Monochrome is still trying to become famous, Maneo is still trying to do whatever he can to help, Yayoi is still the same overambitious klutz, and Ruu-chan is being Ruu-chan. Mana and Kikuko make an appearance from time to time. The backup idol group for Miss Monochrome, Caramel, gets a little more air time in the third season. 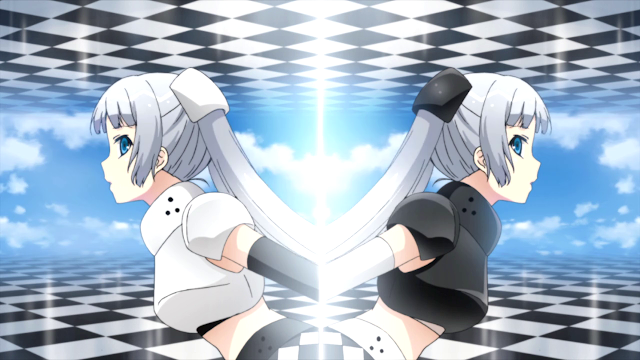 The art and animation for Miss Monochrome was enhanced significantly. The character designs look more detailed and the environment is a little more vivid as well. The 3D CGI for Miss Monochrome has improved dramatically such as the lighting and detail. Miss Monochrome has a different outfit in the new ending which makes it refreshing to see. Speaking of the OP and ED, there are two of them. The first OP and ED theme songs are “Black or White” and “Step by Step”, the same from the second season, but had a few new animations included. 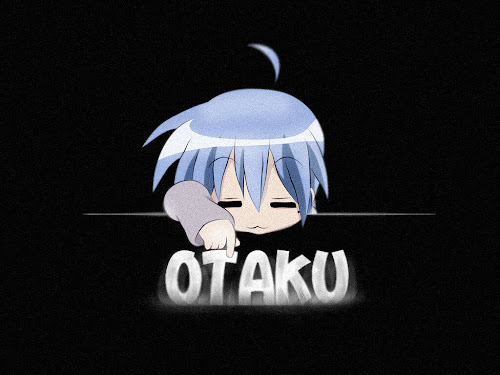 From episode 10 onwards the OP and ED theme songs are “Miss Monochrome Taiso” and “Kimi to Boku”. As usual, I really loved the way they did the OP and ED scene, and the dance choreography for the 3D model are impressive as a whole. The OST used are decent and generally fits with each scene. The voice acting for each character are needless to say very good, even for the narrator. 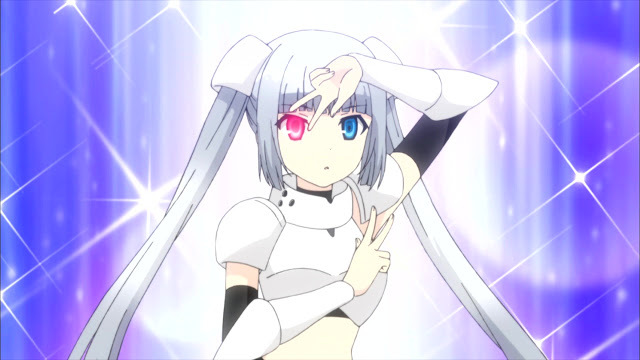 There’s no doubt that I enjoyed Miss Monochrome: The Animation 3. There was always something to look forward to in every episode. Be it a random promotion for a game or subtle fan service, it was all fun to watch. For those who have not watched the first or second season yet, go watch it if you can afford to spare 5-7 minutes of your life. It is a great anime that is light hearted, enjoyable yet simple; a perfect way to relax after a hard day of works.